You don’t have to be a cyclist to enjoy the excitement and the beautiful surroundings of the annual 21-day Tour de France, the most famous and prestigious of cycling competitions. The July race draws 12 million spectators – and you can be one of them. The 2,200-mile route taken by some 22 nine-man teams changes every year but you’ll have no problem getting to the best viewing spots on a private flight arranged by Paramount Business Jets. Whether you want to see the grueling climbs high in the Pyrenees Mountains, the sprints along the plateaus, or be there to pop the champagne corks at the finish along the Champs-Elysees in Paris, Paramount can arrange a flight into a nearby airport. Booking early has many advantages. 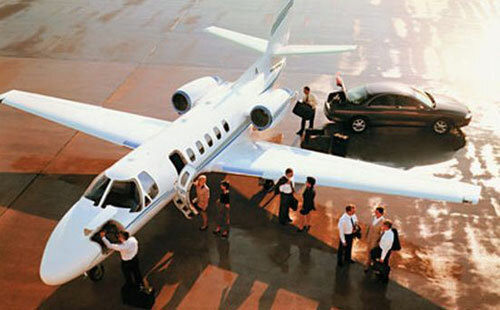 Enter a few details below to start planning your private jet flight to the Tour de France. The Tour de France has changed immensely since it began in 1903. The first race, fittingly, was started to win a race between two daily French sports newspapers. Newcomer and underdog newspaper L’Auto (ancestor of today’s L’Equipe) set up and sponsored the first Tour de France in an attempt to overtake the bigger and long-standing Le Velo. Cycling was popular at the turn of the century and stories about long-distance races interested readers but the first Tour de France, with a route of more than 1,500 miles, was an unprecedented test of endurance. Some 60 riders – mostly from France but also from Belgium, Switzerland, Germany and Italy -- on bicycles with wooden rims took part in that first race on unpaved roads. Wooden rims were believed to be better at holding the tire to the rim when braking on mountainous stretches melted the glue holding them together. The bikes had no gears. The riders wore no helmets and had no support cars. All but 21 riders dropped out before crossing the finish line of that first race, won – with an average speed of 16 mph -- by Maurice Garin, a diminutive 32-year-old Frenchman and former chimney sweep. But there was another winner in that first race -- L’Auto. The paper that gave birth to the Tour de France saw its circulation grow from 25,000 to 65,000, putting its rival out of business. 2016 Tour de France. Picture Source. General: the overall winner who completes the race in the shortest time. Points: the sprinter with the most total points in the 21-day race. Mountains: the climber with the most points in the Alps and Pyrenees stages. Best young rider: the shortest time for those under 26. Best team: the fastest time. Yellow: Worn by the rider at the top of the “general” classification. Just being able to say he wore a yellow jersey, if only for a day of the competition is an honor that can be the highlight of a cyclist’s career. Green: Worn by the rider with the most points overall, accrued during each day of the race. Red polka dot: Worn by the rider with the most points in the mountain sections of stages, won by being the first to reach the peak of mountaintops. White: It’s the “yellow jersey” for the fastest rider under 26. There was a lot of cheating going on in the early years. There were reports of a rider’s fans gathering to form a human roadblock to nab and beat up a rival. There were also reports of cyclists hitching car rides in the dark (they rode day and night then) and accepting help and food from outsiders. In case you haven’t noticed, there are no women in the Tour de France. That’s because they’re not allowed. However, in 2014, the La Course by le Tour de France, a one-day women’s race held on the last day of the Tour de France was started. Women ride 13 laps (55 miles) on the course on the Champs Elysees. What’s with the stuffed lion that goes to the winner along with the yellow jersey? It has nothing to do with cowardice or lack thereof. It’s just the logo a sponsor, the French bank, Credit Lyonnaise. Finally, how do those riders eat, drink and, most importantly, go to the bathroom the five and a half hours they are on a bike each day? There is a feeding station along the way from which riders can grab a bag containing things like energy bars, sandwiches and drinks as they ride past. As for the toilet, riders sometimes just take care of business while riding; other times, the group will agree to stop along the side of the road somewhere discreet. 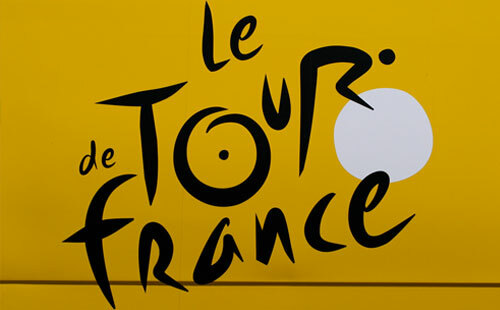 For information on our private charters to the Tour de France, call +1-877-727-2538.